Homemade ice cream is so easy to make and yet people hardly ever do it. I mean look, 4 ingredients and 3 steps. There is really nothing quite like homemade fresh churned ice cream. As a kid I grew up with an old school hand cranked ice cream maker. My mom would add all the ingredients to the metal container and then we would put it in a wooden bucket and surround that with ice and salt and my sister and I would take turns churning it by hand. Best. Summer. Memories. Ever! Anyone else do that growing up? Now I have evolved with the times and have a wonderful electrical ice cream maker. You just add in the ingredients, plug it in, and watch it go! I have this one by Cuisinart and LOVE it! My favorite time to use it is during the summer when we have friends over for a BBQ. 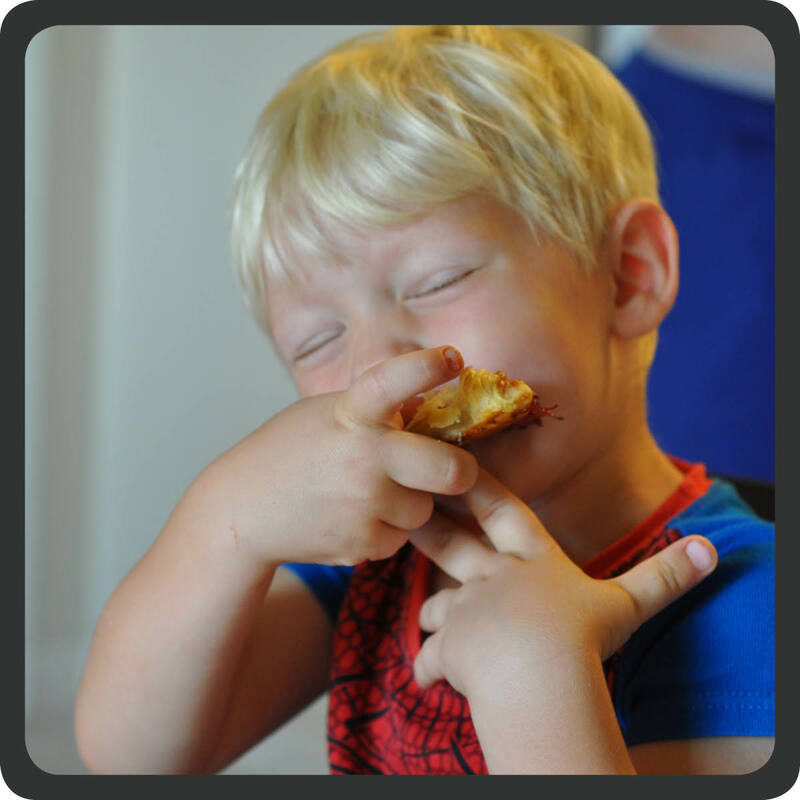 The kids always love watching it and they think it is so cool to make their own homemade ice cream! I’ve tried several different recipes, mint chip, vanilla, strawberry, mocha almond fudge, cookies and cream, vanilla, and then this blackberry ice cream recipe. I think blackberry has been my all-time favorite! It is truly the flavor of summer. Notes: I use fresh blackberries but you can always get frozen ones and defrost them. This recipe is for a 2 quart maker so if you have a 5 quart you may want to double it. Combine the blackberries and sugar in a large bowl. Pour the blackberry mixture, half and half, and heavy whipping cream into your ice cream maker and churn until it is desired thickness. Over the summer my mom was coming for a visit and I was trying to think of something fun that we could do outside. 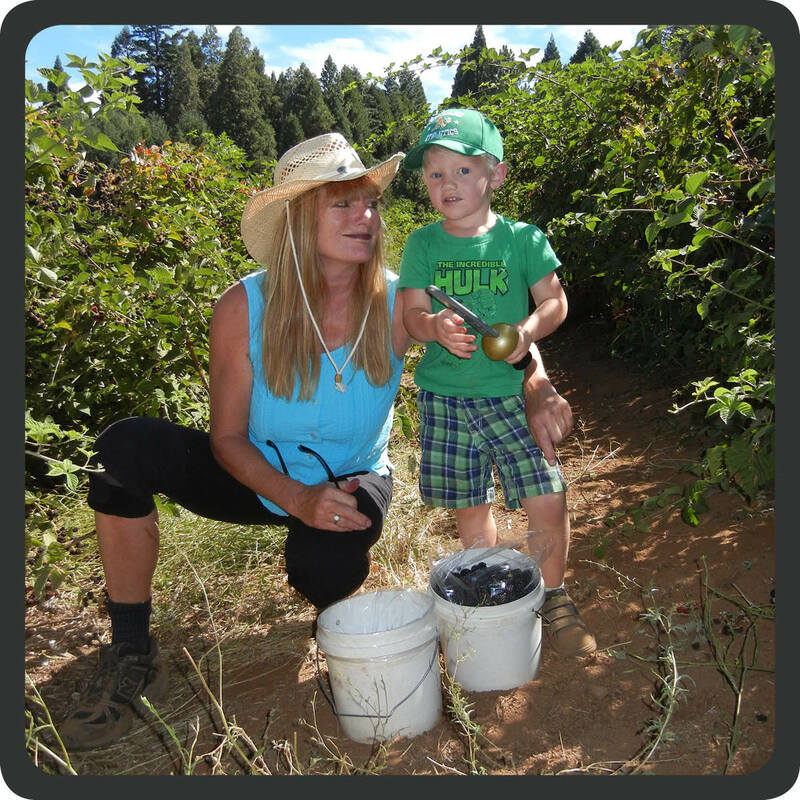 I decided to take her, my husband, and son berry picking at Patrick’s Mountain Grown Fresh Berry Farm. It was a total blast! 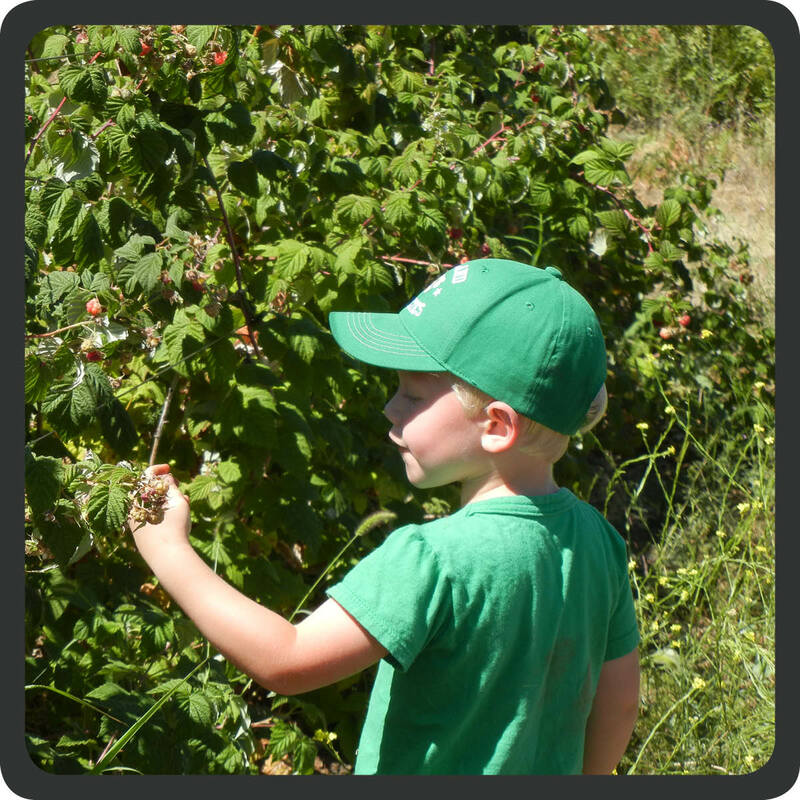 We ended up picking 12 pounds of delicious raspberries and blackberries. 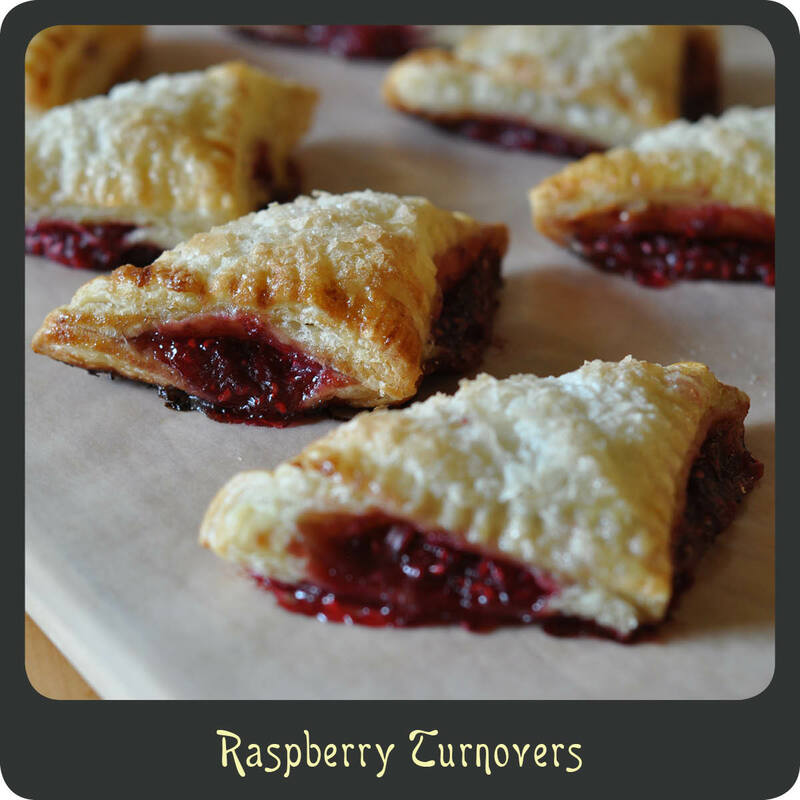 Within 24 hours of picking we made raspberry jam, blackberry jam, blackberry ice cream, blackberry cobbler, mixed berry hand pies, and these tasty raspberry turnovers. (Don’t worry, I will eventually get around to sharing all of those fabulous recipes.) We ended up making these for breakfast and oh my goodness were they tasty! The perfect balance of sweet and tart. While it may not be berry season right now, you can most certainly find some at your local market. So please, give these a try. They are the perfect treat for breakfast or dessert. Note: If you don’t think you will eat these all in one sitting, no need to waste. Just freeze some of them! They freeze great and can easily be baked at a later date. Just place any extra unbaked turnovers on a wax paper lined sheet and freeze for at least an hour. 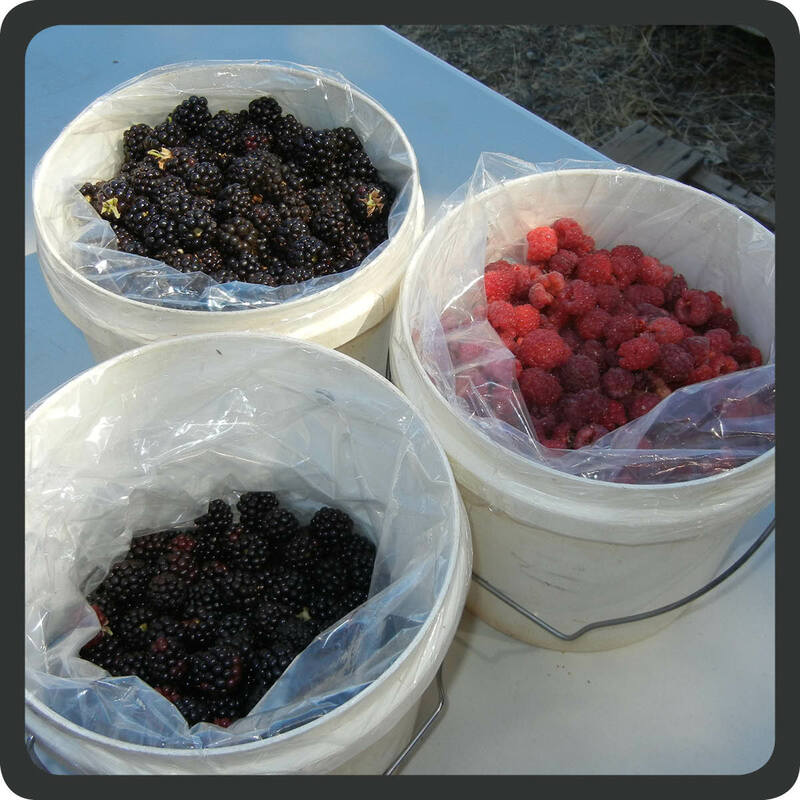 Once they are frozen solid, transfer them to an airtight bag or container. When you are ready to cook them just place them on the parchment paper lined baking sheet for 15–20 minutes and then bake as directed below. Spread the flour around your work surface and unfold the puff pastry sheets. Cut each sheet into either 4 or 9 squares. It just depends how small or large you want your turnovers. In a small bowl mix together the jam and raspberries. Place an even amount of the raspberry filling in the center of each square of puff pastry. Fold each puff pastry square in half diagonally gently pinching around the edges to seal. Carefully transfer the turnovers to a parchment paper lined baking sheet as you finish them making sure they are at least an inch apart. Using a the prongs of a fork carefully press down along the unfolded edges “crimping the pastry dough. Whisk together the egg and water and brush the egg wash over the top of each turnover. Sprinkle the top of each with a little bit of the sugar. Using a small paring knife cut one slit in the top to help with venting. Place your baking sheet in the freezer for approximately 15 minutes. Preheat the oven to 350º while the turnovers are chilling. Once they are finished in the freezer and your oven is preheated bake them until they are a nice golden brown, about 18–20 minutes. Transfer to a cooling rack and allow to sit for 5 minutes before serving.